Useful for those who want to take a quick look at what a new update brings to an app before hitting that ‘Update’ button. Mountain View-based Internet search giant Google has been rolling out some changes to the Play Store on mobile lately. 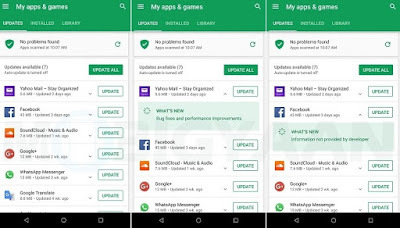 Earlier last week, Google started recommending ‘Lite’ apps to users on Play Store, and later on, it also started showing top chart ranks of apps in their listings along with their original date of release. 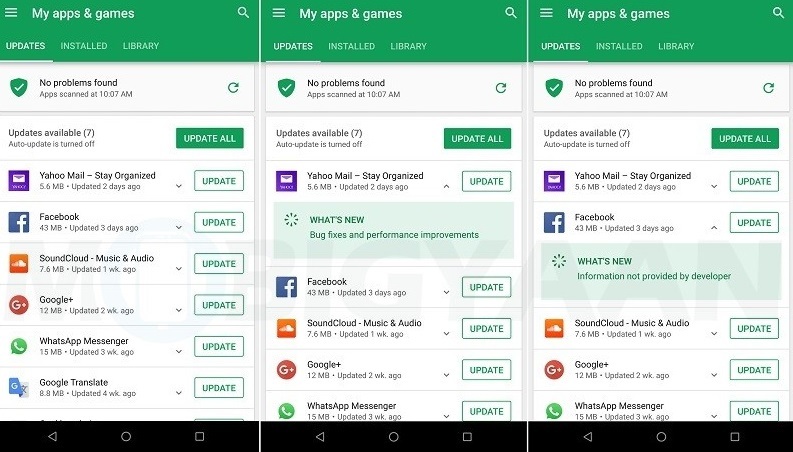 Now, the company has made a small change to the Play Store that makes it easier for the users to take a quick look at the change-log of an app. 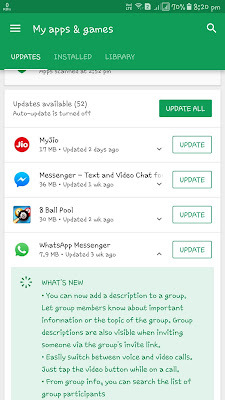 Now whenever you head over to the ‘Updates’ tab under the ‘My apps & games’ section, you will see a small downward facing arrow sitting right between the app size and last updated info and the ‘Update’ (or Open button, if the app is up to date) button. Well, once you tap on the downward facing arrow, it will show you the ‘What’s New’ section of that specific app which has the changelog of the app’s latest update. This is useful for those who want to take a quick look at what a new update brings to an app before hitting that ‘Update’ button. However, we believe it would be more useful to tech bloggers and journalists who often write about apps and their updates. Besides, it’s also worth noting that the ‘What’s New’ section would only display changelog of an app’s update if that app’s developer has provided any. If there’s no information available, you will see the message “Information not provided by developer” under the ‘What’s New’ section. With that being said, it isn’t the first time that Play Store is showing app changelog on the update screen. 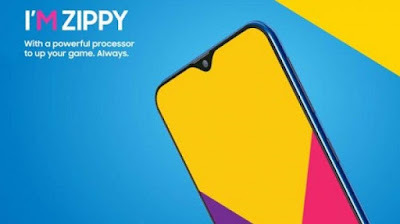 The folks over at Android Police have spotted it before back in June last year, but this time, we are hopeful that Google will roll it out widely to all the users. Having said that, this looks like a server-side roll-out, as some of our devices running Play Store version 9.4.18 are having it, but others don’t. What about you? Have you got this new feature yet? What are your thoughts on it? Sound-off in the comments down below.